What are the Most Important Vitamins for Men? Man, woman or child, everybody needs certain nutrients that our bodies can’t produce on their own. Ideally, you’d get most of your vitamins and minerals from the foods you consume, but in reality that isn’t happening. While they might like to believe they’re of “hardier stock,” the truth is American men have deficits in nearly every nutritional category. 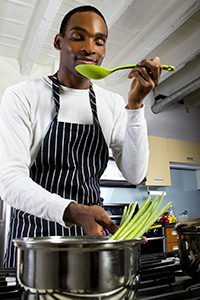 According to the USDA, men between the ages of 31 and 50 would need to eat 350% more dark green vegetables and 150% more fruit every day in order to meet federal dietary guidelines! So what are your options? The best case scenario is that you’d make a drastic dietary overhaul – adding significant amounts of antioxidant-rich fruits, vegetables and healthy fats to your diet, while reducing your intake of sugars, red meats, unhealthy fats and processed foods. Those changes would put you on the right track to adequate nutrient intake, but it still might not be enough. Even with significant dietary changes, men may still be deficient in some nutrients that are less readily available in food, or less easily absorbed by the body. WHAT ARE THE MOST IMPORTANT NUTRIENTS FOR MEN? Vitamin D is one of the most important vitamins for men. It is essential for promoting bone health and maintaining a strong skeleton. Unfortunately, because your body is designed to synthesize vitamin D from unprotected exposure to sunlight (which the American Academy of Dermatology recommends against), there aren’t many foods that contain vitamin D naturally. 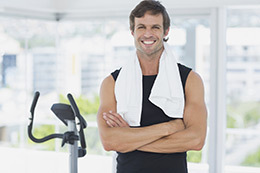 That’s why vitamin D supplementation is important for many American men. Antioxidant vitamins A, C and E: Antioxidants help keep your cells healthy by neutralizing harmful free-radicals, which have been shown to disrupt and tear apart vital structures like cell membranes. Getting enough antioxidant vitamins is a great first step in taking control of your health and wellness. B Vitamins: B vitamins play a vital role in energy maintenance, cell metabolism and the formation of red blood cells. You need B vitamins for healthy nervous system functioning. If you don’t eat at least five servings of fruits and vegetables a day, plus vitamin D-fortified foods like milk and cereal, talk to your doctor about a daily multivitamin. Rather than struggling to combine supplements on your own (and risking the harmful effects of mega-dosing), a daily multivitamin can be a simple way to help ensure you’re getting the nutrients you need on a daily basis. While not a replacement for a healthy diet, many doctors recommend a multivitamin for men who aren’t able to get the required daily nutrients from food alone, or who may have nutrient absorption problems. 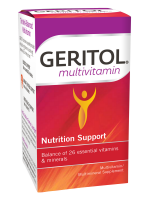 Geritol® multivitamin contains 100% of the recommended daily value for vitamin D, plus antioxidant vitamins A, C and E.
Vitamin and Mineral Supplements for Men. Men’s Health. 2005-2013 WebMD, LLC. Retrieved from: http://men.webmd.com/features/vitamin-mineral-supplements-men February 12, 2013. Vitamins and Supplements Lifestyle Guide. 2005-2013 WebMD, LLC. Retrieved from: http://www.webmd.com/vitamins-and-supplements/lifestyle-guide-11/default.htm February 10, 2013. B Vitamins Directory. Vitamins & Supplements. 2005-2013 WebMD. Retrieved from: http://www.webmd.com/vitamins-and-supplements/b-vitamins-directory January 16, 2013.